As Deadline reports, AGC Television will turn Christopher Golden's book ARARAT into TV series. The 2007 best seller is getting a sequel The Pandora Room this spring. 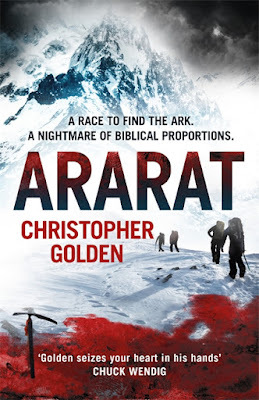 The story is set in the aftermath of an earthquake which reveals a secret cave inside Mount Ararat, and a daring newly engaged couple are determined to be the first ones inside. What they discover will change everything – the cave is actually a buried ancient ship that many come to believe is Noah’s Ark. Their adventure quickly turns into a horrific nightmare when a massive blizzard traps them inside. As they pray to be rescued, something wicked is listening to their prayers – and it wants to answer. The third part of the book Red Hands will be out in 2020. TO GET A MOVIE TREATMENT! 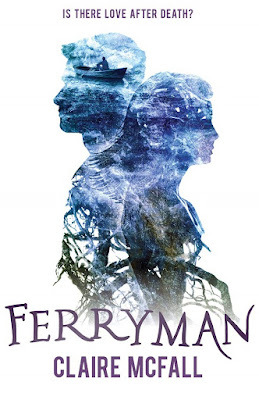 Legendary has, meanwhile, hired Kelly Marcel to adapt and direct Claire McFall's best selling fantasy saga FERRYMAN into a movie. The trilogy, which is ending with the third part this spring, has been a massive success around the world (even in China where it sold in more than million copies). FERRYMAN follows a young girl named Dylan as she emerges from the debris of a train crash on an empty Scottish landscape. Believing herself to be the only survivor, she learns instead that she is the only fatality – and is trapped in a dangerous limbo. She meets a mysterious boy named Tristan, her ferryman, sent to guide her through the wasteland and into the afterlife, but they fall in love with perilous consequences.